Hurricane season, high heat, high humidity and the list goes on! Ahhh yes, sadly it has been since May, the last time I had a post and basically have baked. It really has been super unpleasant this year here in Hawaii. Paradise, sure…decent baking weather…nope. I do not have air conditioning to keep it cool enough to make baking enjoyable. Baking is my passion and I LOVE it, it makes me happy and I have been a bit sad not being able to happily bake and post. I am hoping we will soon be having some cooler temps in which will make baking more often, more bearable for me. I was busy over the entire summer, I happily had family visiting for two months. I did bake once with my brother while he was here. It was fun but terribly hot. The rest of the summer was spent all over the Island, beaches, swimming and sunburns. Now I feel like we are supposed to be entering into fall and I just want to bake! 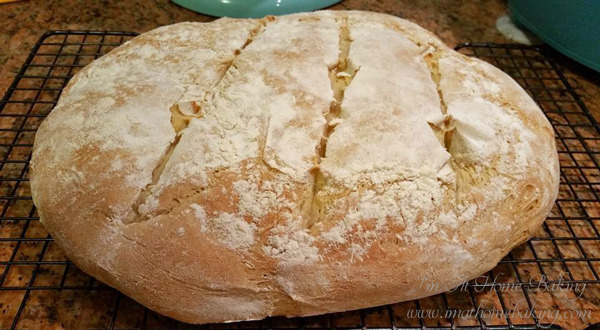 So, we recently had a pasta dinner and I decided it was about time to bake a delicious bread and hope that the new recipe I was about to try lived up to my expectations. It did. This one is pretty hands off which means you don’t have to spend an entire day making a tasty and hearty bread to go with your dinner. I would make this to go with many different dinners like soups & stews, and it is also a awesome dipping bread, if you enjoy that kind of thing. Line a cookie/baking sheet with a piece of parchment paper and set aside. Sprinkle your yeast on top of sugar/water mix. Leave it for 10-15 minutes or till it becomes frothy. In the stand of your mixer bowl, add flour and salt, make sure to have dough hook in place. Add yeast mixture and then olive oil. Mix well to form dough ball. Turn out on to a lightly floured surface and knead 8-10 minutes. Until it is soft, smooth and elastic. Move dough to a large, rather tall bowl or container that has been lightly oiled. Turn to coat dough. Cover and leave in a warm place for 1 hour or till doubled in size. Turn out on to a lightly floured surface, punch down slightly. Mold it into a round or oval shape and place on your prepared sheet. Cover and leave for about 1 hour or doubled in size. Dust the top of your loaf with flour, make several deep diagonal slashes in the top of your loaf. Bake for about 30 minutes or until the bottom of the loaf sounds hollow when tapped. Not sure about you, but personally I tend to make goals, not resolutions for the new year. I did meet some of my goals this past year and some I did not. I have a few new baking goals this year but due to moving to Hawaii and having to have our house packed up in a few months time, my goals are small. I will have several months this new year I won’t have the ability to bake. So, January is National Bread Machine month. Do you own a bread machine? I do but I will get into it in a separate post this month. I love to make and bake bread, by hand or machine or even my mixer at times. Yeast breads are not to forgiving and a perfect loaf is possible but looks are not everything either! I have made several white breads over the years and each is different than the next which sometimes baffles my mind because ingredients are usually similar. But as with most things, I am sure there are 100 different ways to make white bread. Here is another recipe, and very awesome I may add. It is light and fluffy and reminds me of Wonder Bread. Butter is amazing on it toasted or not. I don’t put much else on my bread unless I make a sandwich but I am pretty sure anything would taste great with this bread. In the bowl of your stand mixer, whisk together: water, oil, sugar or honey and salt. Then add the ¾ cup flour and yeast, whisk together for about 30 seconds. immediately add the rest of your flour to your bowl, anywhere from 5-7 cups. It all depends on where you live, your climate and other factors. For me, it was 6 cups. This flour is additional to the ¾ cup and does not count towards the 5-7 cups. Let your mixer knead for 5 or so minutes. Dough should be soft & smooth and not too sticky. If kneading by hand go about 8-10 minutes. Let rise in a clean, greased, covered bowl for about 30 minutes, a slightly warm oven is a perfect place. Grease your 3 bread pans and the counter with spray oil. Divide the dough into 3 even pieces. Roll the dough into a long oblong shape. Roll into a tight jellyroll. Fold under ends, enough so it fits in your bread pan. Pinch it to seal it a bit. Place loaves in a slightly warmed oven for about ½ hour or until the dough has risen to fill the pan. Turn the oven on to 350 degrees and bake for about 30 minutes. The bread is done when you hit the top and it sounds hollow. Don’t worry about time as much as this indicator. The bread isn’t done until you hear the hollow sound. Turn out onto a wire rack and cool completely before slicing, although hard to do! Welcome To Day 7 Of “25 Days Of Christmas Sweet Treats”! Last year I did “25 Days Of Christmas Cookies“. Please click the link to find all those wonderful recipes and please check back here every day for Christmas Sweet Treats all the way up until Christmas Day! Our Christmas tree is finally here! It is a 6-7 foot Noble Fir. It was freezing cold this morning while we waited in line to purchase our tree but it was worth it. In less exciting news the Holiday Party day is finally here, we set everything up this morning and will be back there in a few hours for the rest of the night. I am just looking forward to it being over and done with. I have made this bread many times. It’s really popular, delicious and the perfect thing for breakfast, something kids and adults both enjoy! This would be perfect over Christmas for visiting family, friends or on school break for the kids! I have made the dough the day of and used it as well as storing overnight in the fridge, either way it is amazing! In a small saucepan, melt together milk and butter until butter has just melted. Remove from the heat and add water and vanilla extract. Let mixture stand for a minute or two, or until the mixture registers 115 to 125 degrees F.
Pour the milk mixture into the dry ingredients and mix with a spatula. Add the eggs and stir the mixture until the eggs are incorporated into the batter. The eggs will feel soupy and it’ll seem like the dough and the eggs are never going to come together. Keep stirring. Add the remaining ¾ cup of flour and stir with the spatula for about 2 minutes. The mixture will be sticky. Place the dough is a large, greased bowl. Cover with plastic wrap and a clean kitchen towel. Place in a warm space and allow to rest until doubled in size, about 1 hour. *The dough can be risen until doubled in size, then refrigerated overnight for use in the morning. If you’re using this method, just let the dough rest on the counter for 30 minutes before following the roll-out directions below. While the dough rises, whisk together the sugar, cinnamon and nutmeg for the filling. Set aside. Melt 2 ounces of butter until browned. Set aside. Grease and flour a 9x5x3-inch loaf pan. Set that aside too. Remove from the oven and allow to rest for 20 to 30 minutes. Run a butter knife around the edges of the pan to loosen the bread and invert onto a clean board. Place a cake stand or cake plate on top of the upside down loaf, and carefully invert so it’s right side up. Serve warm. I hope you all had a wonderful Easter however you may celebrate it, or not. I have to say though, I am thrilled it is now April 1st!! Time is moving and in a few short months we will be picking orders to a new base in a new place, very exciting. Yes, today is April Fools Day, not sure if you participate in all the silly things but usually today passes us by like any other day,lol. It’s Monday…it’s a crappy day, Monday’s always are,lol! Today was a super busy day though and actually the whole weekend was kind of busy. You see that beautiful bread up there? Yeah. Ahhhhhmazing. On Saturday night I got a bright idea to make something tasty for Easter breakfast. Actually how it started was I wanted french toast. 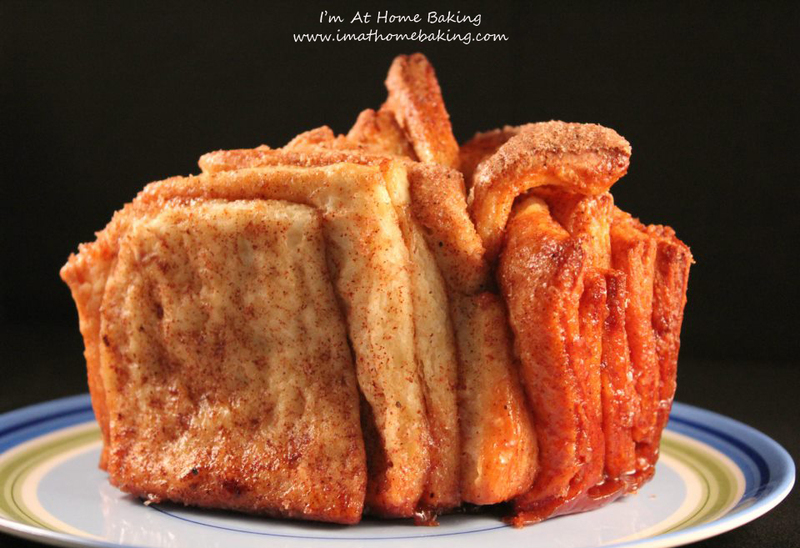 Then I started to think about Cinnamon Swirl Bread and how I’ve not made one that calls for yeast in forever. Then I searched and found. I will have you know, this is not a quick bread. It is rather a process but I will also have you know that it is worth every waiting moment!! Do not let the waiting & rising time stop you, please. This bread is heaven. 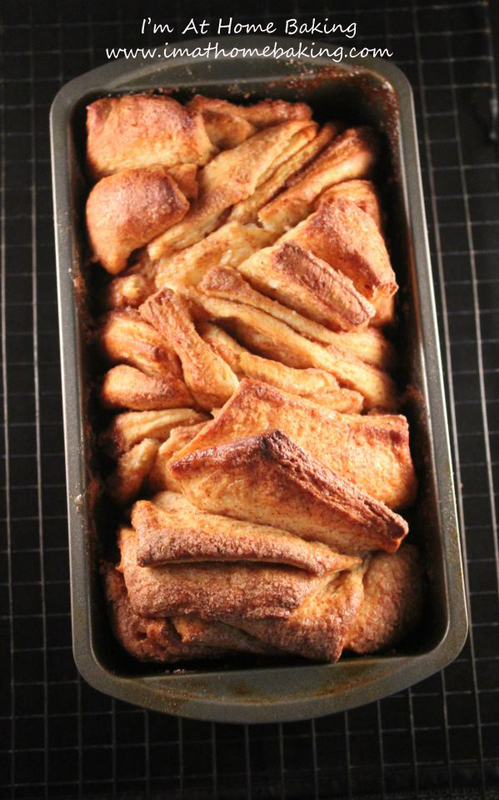 It is soft, pillowy, buttery, just perfect amounts of cinnamon & sugar, although more would be awesome too! 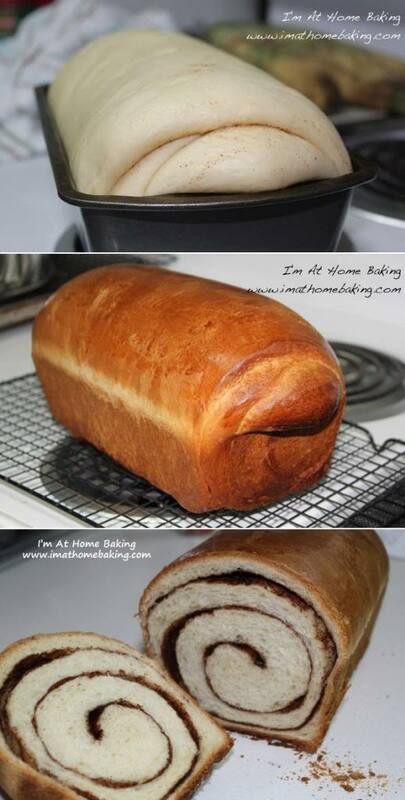 You have to make it & while you are at it, you may want to make two loaves. It will go super quick! In a small sauce pan melt butter with milk. Do not let it come to a boil. Remove from heat and let it set till just warm to the touch. Sprinkle yeast over mixture. You can stirl gently if desired but I just let it sit. Let it rest for 10 minutes. In a medium bowl combine the flour and salt, set aside. In the bowl of an electric mixer, beat sugar and eggs with your paddle till just combined. Do not over beat! Pour in the yeast mixture and stir enough to combine. Add half of your flour mixture then beat till combined. Add the rest of the flour mixture till combined. Remove your paddle and switch to your dough hook. Put on medium speed for at least 10 minutes. You may find after that 10 minutes that your dough may still be too "wet". A little sticky is fine. If it is wet, add ¼ cup flour and put it back on medium to high speed for 5 more minutes. Warm or heat a metal or glass mixing bowl, so it is warm to the tough, not hot. Coat bowl with oil, I used Vegetable. Toss the dough in the bowl to make sure it is lightly coated. Cover with plastic wrap and put in a warm place to rise for about 2 hours. On a clean work surface turn out dough. Make sure to roll your dough no wider than the loaf pan you will be using. Try as best you can to roll it into a nice long rectangle. Smear with 2 tablespoons of butter or you can just take whatever amount of softened butter and smear that on the dough as well. Combine cinnamon and sugar. Sprinkle over dough. Start rolling at the far end, keeping the roll nice and tight and contained best as you can. Pinch the seam to seal the roll. Grease the loaf pan with softened butter, use a good amount! Place dough in loaf pan, seam down. Cover again with plastic wrap and allow it to rise again for about 2 hours. Brush the loaf with the Egg/Milk mixture. Bake on middle shelf for 40 minutes. 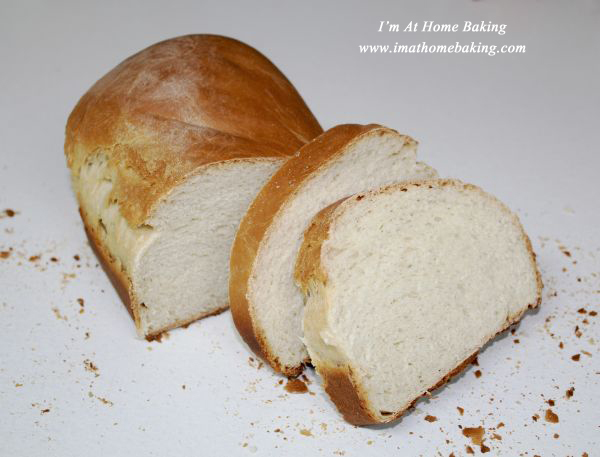 Allow baked bread to sit in pan to cool for 5 minutes before removing to a wire rack. If you can, let it finishing cooling before cutting into it. To keep leftovers, if there are any...place in a ziplock bag.